PRS has announced a limited run of spec’d-up, signed SE Tremonti Standard electric guitars. The Alter Bridge guitarist’s most affordable signature model has now been equipped with the same Tremonti S pickups, PRS neck carve, fingerboard and bird inlays as the more expensive SE Tremonti Custom. 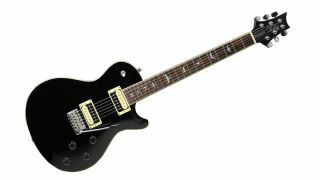 Available in High Gloss Black finish with body binding, the Special also comes with a backplate hand-signed by Tremonti himself. Just 300 of the limited-edition run will be available across Europe for £475 apiece. See PRS Guitars Europe for more info.